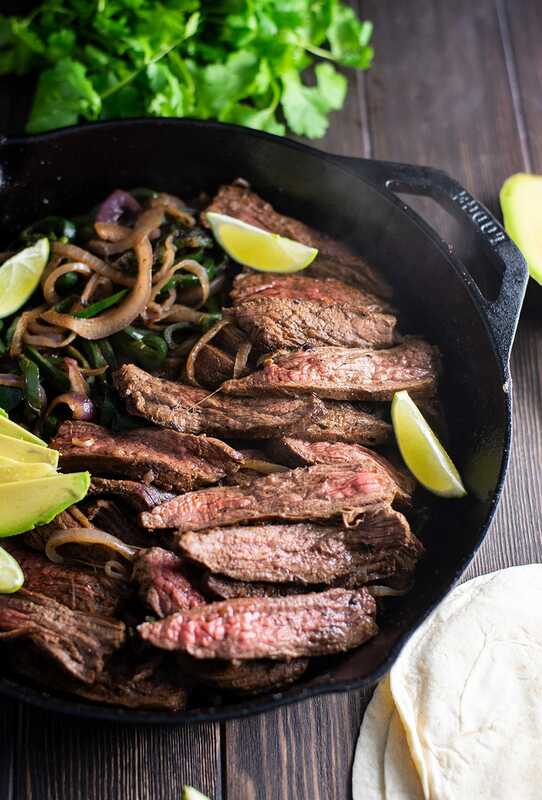 Fajitas are something we don’t eat enough. I’ve seriously been making fajitas since I was 12 years old, yet we somehow replaced the fajita with the fish taco craze the past few years. 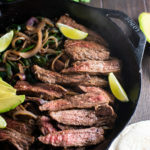 Skillet steak fajitas was partly inspired by a new side dish I dreamt up a few months ago. Sauteed poblano peppers and red onions. It’s the perfect flavorful topping over brown rice or quinoa. Don’t know how we arrived there, but who doesn’t love grilled peppers and onions in fajitas? 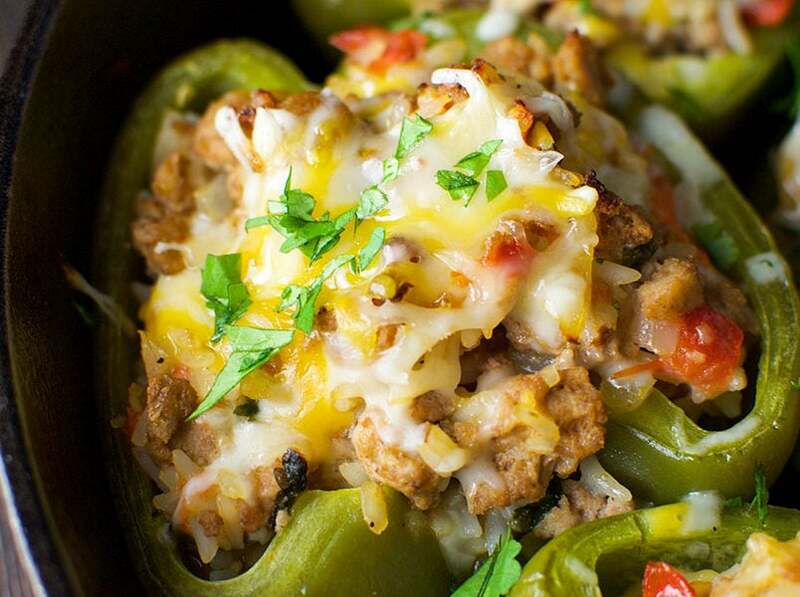 Poblano peppers have a lot more flavor than your typical bell pepper. They have a hint of smoke and spice, yet overall are very mild. 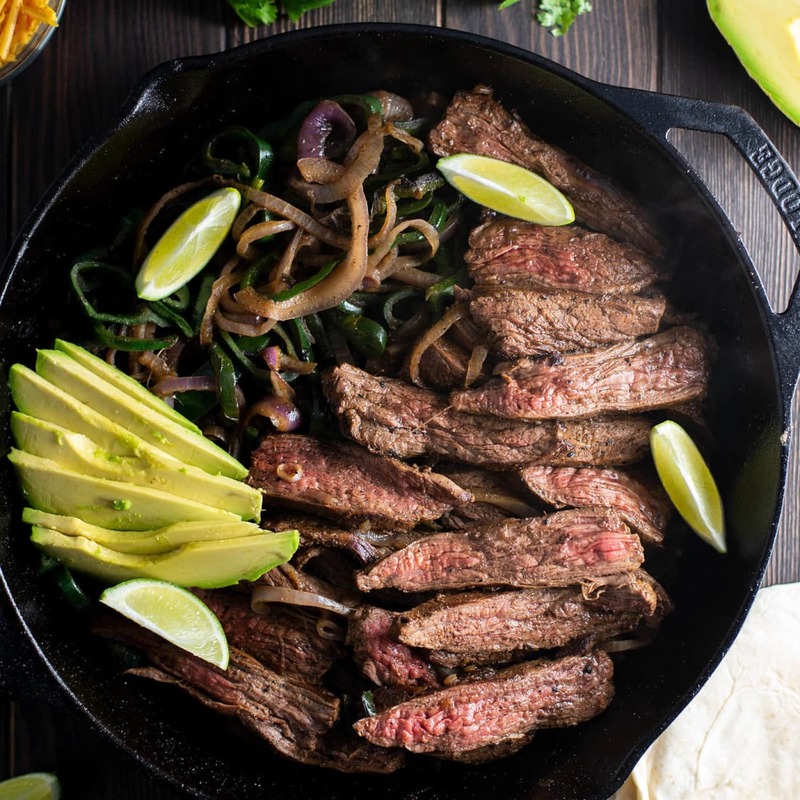 Pared with red onions and seasoned flank (or skirt) steak, it’s all you need for a perfect fajita—plus maybe a little cheese and avocado! Most people marinade flank/skirt steak, however for simplicity I opted for a homemade dry rub consisting of chili powder, cumin, paprika, garlic, and brown sugar. 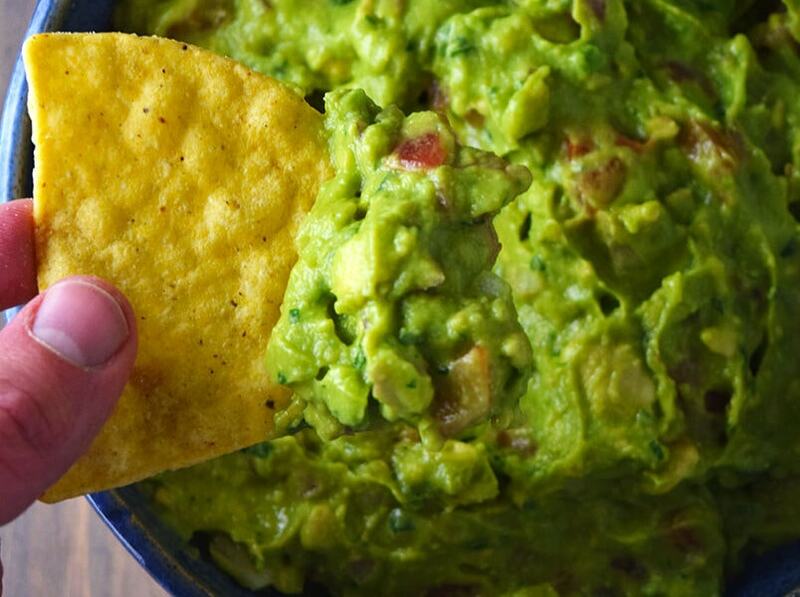 It adds a nice spicy, flavorful touch with a hint of citrus (from fresh lime) and brown sugar. One critical tip when serving steak fajitas is to properly (and thinly) slice the steak for tenderness (I learned the hard way). 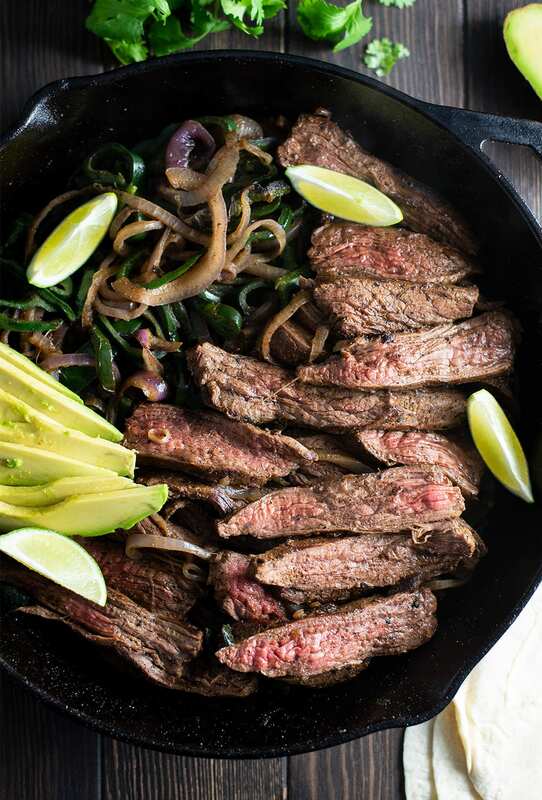 Skirt and flank steak tend to be very flavorful, yet tougher cuts due to the dense muscle fibers. 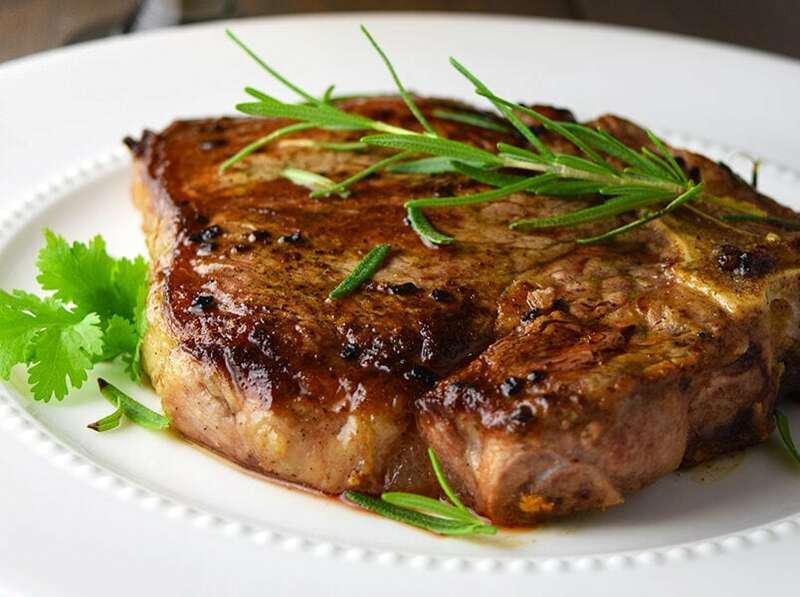 You will notice the steak has a very defined grain running though it. It may be more noticeable after you cook it. Slicing strips with the grain will force you to bite through these tough fibers. If you slice against the grain, the meat will break apart much easier. 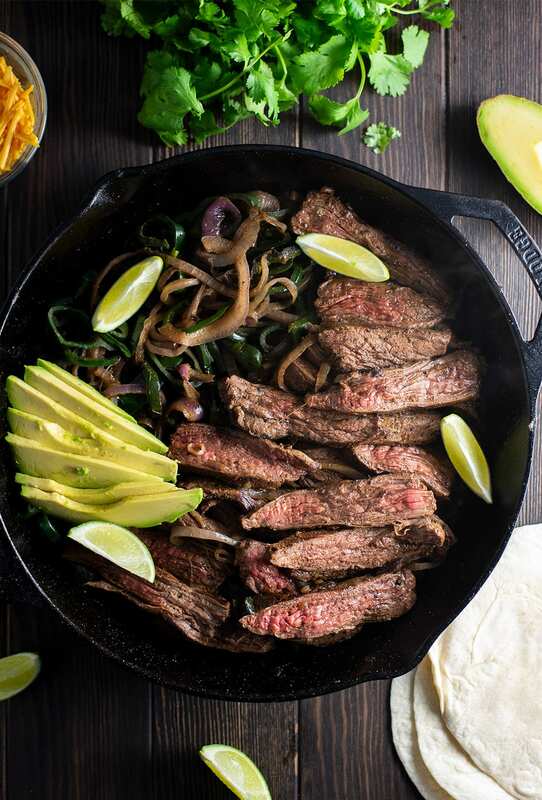 No one likes fajitas that fight back.